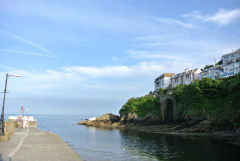 Follow the winding lanes of the beautiful North Cornish Coast and arrive to the luxury and inspirational style of Little Spring set in the charming hamlet of Penrose. 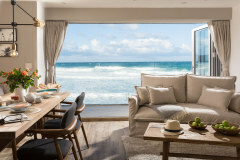 This newly created home has been flawlessly designed with holiday living in mind and offers a very spacious layout including a modern kitchen and dining space, relaxed living room and a collection of two indulgent bedrooms and two contemporary bathrooms. An attractive paved garden space sets the scene for warmer holiday days where children and dogs can safely explore and play. 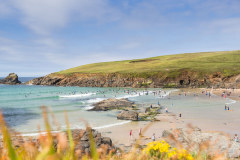 Step out from your holiday door to the natural beauty of the coast where a playground of golden sands beaches and rolling surf await including Porthcothan, Constantine Bay, Trevone Bay, Harlyn Bay. The coastal town of Padstow is a short drive away offering some of the county's most popular places to eat out, drink and shop or explore the cool surf scene of Newquay. 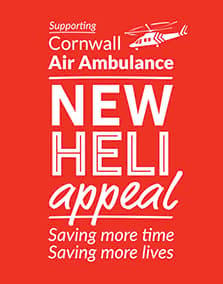 Little Spring is a newly built split-level home nestled in the hamlet of Penrose, North Cornwall. Once inside, a welcoming hallway is flooded with natural light from the over-sized windows and overhead glass walkway feature. Lead from the hallway into the hub of the house, the spacious kitchen and dining space. With all the kitchenalia you could need to create an extra special holiday menu, the kitchen is a joyful place to get creative. Cornwall is firmly on the foodie map so guests can enjoy the freshest of fish flipped straight from the boats in Padstow, local meats and cheeses from Rick Stein's deli and fresh veggies from nearby farm shops. The stylish dining area offers a persuasive stay at home option as you dress the table for celebrations or gather for a hearty breakfast before your days spent out and about. A convenient utility area and cloakoom are located off the kitchen with side door to the garden. With a sharp eye for luxurious and thoughtful design, the owners have created a wonderful living area set off the hallway. Sink into the comfiest of sofas to unwind, pop on a favourite film or dig out the board games for a family challenge. Full height patio doors lead out to a paved courtyard. A central staircase leads to the first floor and collection of two bedrooms and two bathrooms worthy of any boutique hotel. The master suite offers the finest super king bed and has been dressed to impress in soft greys and subtle pink linens. A sit out balcony offers views across the green fields and neighbouring grazing horses ensuring a slice of rural Cornish zen. A private dressing room and contemporary bathroom with walk-in rain shower complete the luxury of the master bedroom. The second bedroom is no less considered with super king bed (which can be set as a twin, if required) and the finest beds and bedding for a good night's sleep. The family bathroom is a serene space to soak away the day in the deep bath or enjoy an invigorating rain shower to start the day. 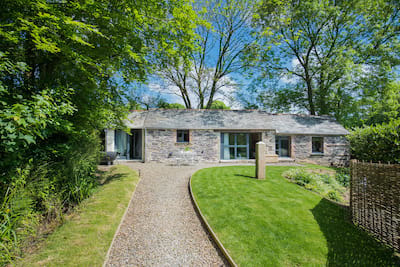 Guests are invited to switch off and relax in the garden space of Little Spring, from sun-up to sundowners enjoy the warm Cornish sunshine and that holiday spirit. Patio doors lead from the living space into a landscaped terrace complete with built-in bench seat, relaxed armchairs and swinging seat. Wile away your afternoon with a good book or enjoy a peaceful morning coffee before the rest of the party awake. The terrace leads behind the house to a further large space with circular dining table and chairs. Al fresco dining is enjoyed from breakfast to supper and there is a useful BBQ area perfect for disposable BBQs. The whole garden space is enclosed and level throughout for peace of mind allowing children to explore and dogs to stay close. With such a wonderful location moments from the coast, create those halcyon beach days once more and grab your bucket and spade. 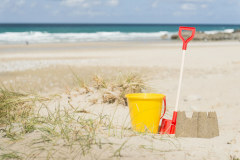 The nearest beach is Porthcothan, just a 5 minute drive away, offering golden sands and blue surf. 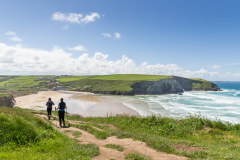 Beach hop up and down the coast towards Padstow taking in the beaches and coastlines surrounding Treyarnon Bay, Mother Ivey's Bay, Constantine, Watergate Bay and Mawgan Porth. 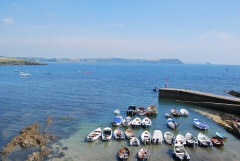 The South West Coast Path offers some of the finest seascapes in the country or embrace the elements and learn to surf or paddle the quieter waters of The Camel Estuary. 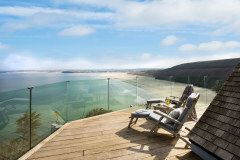 Make yourself at home in Cornwall and create lasting holiday memories from the luxury of Little Spring. Welcome hamper on arrival - please do advise of any dietary requirements and Little Spring will be happy to provide alternatives. 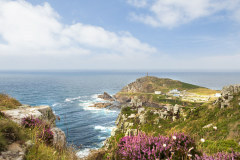 Local handmade soaps from Cornish Cove Soap. There are 2 steps up to the front door from the driveway. Level access onto the terrace from the living room or utility room. There is one internal flight of stairs. Mobile reception is limited within the area, please refer to your mobile provider. Little Spring includes WiFi. We were very lucky to be the first guests to stay at Little Spring. What a lovely home, spacious, comfortable and great decor. Thank you for a lovely stay we will be back again. What a gem! The attention to detail in Little Spring is outstanding. A fantastic stay. What a beautiful place to stay! 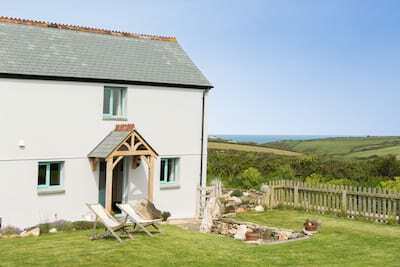 Little Spring is the perfect holiday home, peaceful, spotlessly clean and superbly well equipped. Great location, lovely house, well appointed and very tastefully decorated. A credit to the owners.